Commercial barges have recently threatened to drop anchor along the Hudson, including in Newburgh. The anchorages proposed in June are to run between Yonkers and Kingston, and according to the Journal Record, it would give commercial vessels better travel conditions, with more spots available at the port to wait. This practice is known as mooring. According to cbslocal.com, the U.S. Coast Guard is proposing new places to park the commercial barges. The locations will include breathtaking views and expanding areas for recreational use, where community members are weary of the barges and feel they will change the aesthetics of the Hudson. Non-profit organizations such as Scenic Hudson, the largest Hudson River Valley-based environmental group, have worked for years to create and maintain nature’s beauty on the Hudson. News12.com revealed residents who live on the Hudson have began petitioning against the plan to create these new anchorage sites. Since many of these barges would carry petroleum, opponents are worrying about the environmental repercussions. 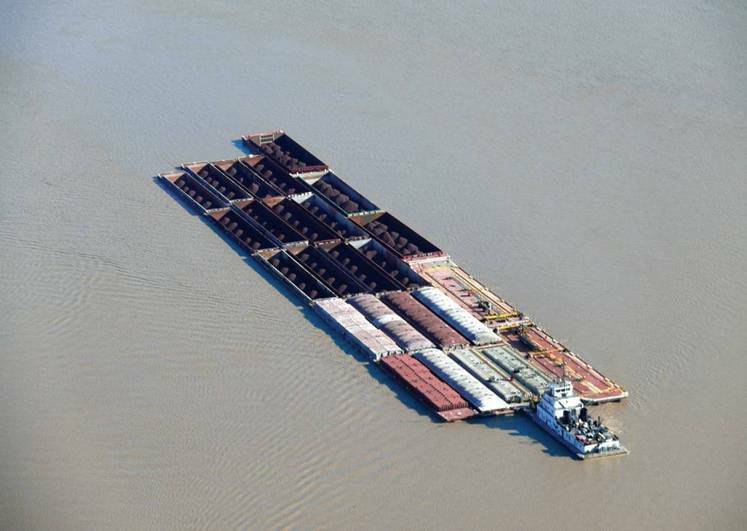 The Journal record reports that shipping industry representatives are necessary to make the river safe to navigate. They said the anchorages would legitimize an already common practice for big boats in the river. NBC New York’s Roseanne Colletti wrote in recent weeks of Westchester County Executive Rob Astorino and other local officials concerns over the plans to add 10 spots along the river. Astorino urged the public to submit their opinions on the barge at federalregister.gov by Sept. 7. Decisions about the barges are an ongoing matter currently in the process. “It appears the federal government wants to do what it wants, where it wants, when it wants, and that’s just not okay,” said Astorino.